You have a great business. You are meeting your customer and clients’ needs and operations are running smoothly. Then disaster strikes. Lighting hits your building and destroys one of your machines or a snowstorm collapses your ceiling. What do you do now? Your Business Owners’ Policy may take care of the damage, but what about all of the income that you lose by not being able to produce? The answer is Business Interruption Insurance or Business Income Insurance. These policies protect you from losing the revenue that you would have received if your business had not been forced to stop due to the disastrous event. It also covers Fixed Costs still incurred by the business, the expense of moving to a temporary location, reimbursement of reasonable expenses that allow your business to continue operating while repairs are being made (in addition to fixed costs), and Civil Authority Ingress/Egress (this includes government-mandated business closures that result in a direct loss of revenue, such as a curfew). A Business Interruption Insurance plan is not a stand-alone plan, it is added to a larger Business Owners’ Policy (BOP) to provide additional coverage. When you are speaking with an insurance agent about the necessary coverages for your exact business, Business Interruption Insurance is something that you should consider, especially if your business is in the manufacturing, construction, or sales industries. Don’t wait for a disaster to bring your business to a halt! 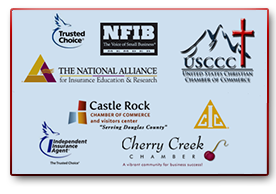 Contact us for a free quote or call us at 303-388-7216 and we will review what kind of coverage is necessary for your business.